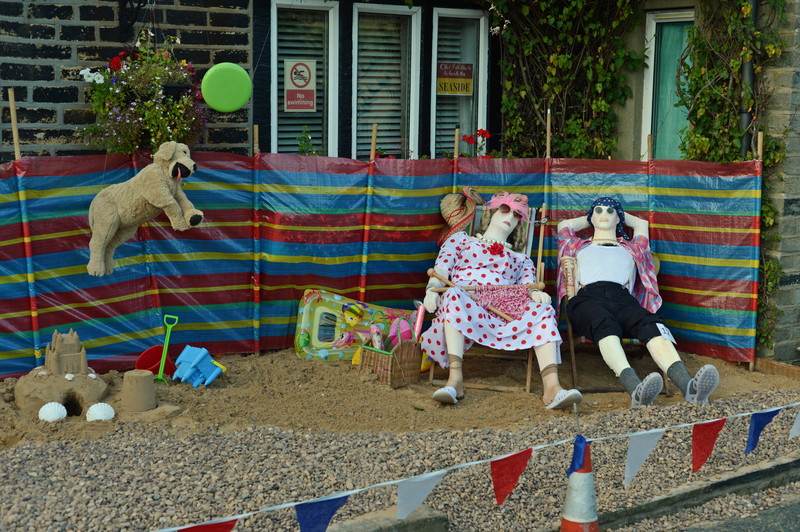 Rushbearing continues today but we’re off to another event – the Norland scarecrow festival. You can read all about it here. Well it’s slightly later than I’d hoped but here’s a look at both events. 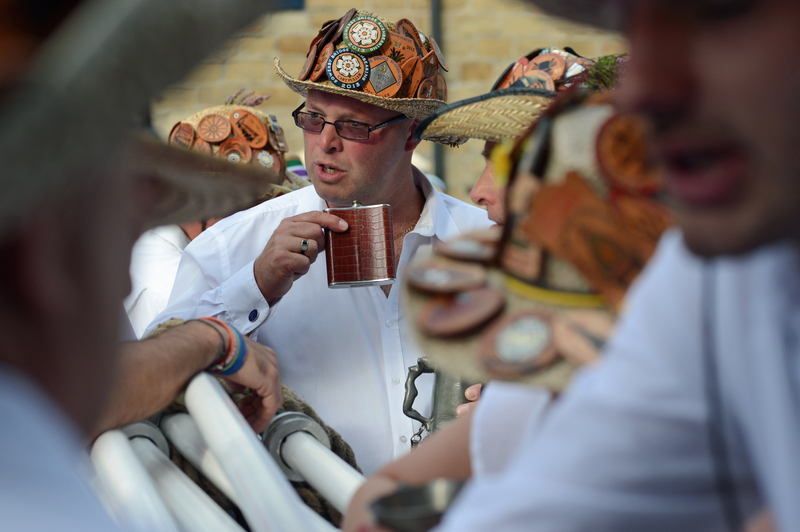 As usual, rushbearing was an excellent event that the rain Gods smiled upon & left alone! What I particularly like about it is the way it attracts a cross-section of people (of all ages) from far and wide. It’s a great example of how traditions are kept alive through continuity & by involving the young, not excluding them. Many of the troupes of entertainers had very young members as part of their group. Youngsters are actively encouraged to take part & do so with gusto! Still being in your pram is no barrier to taking part in rushbearing! 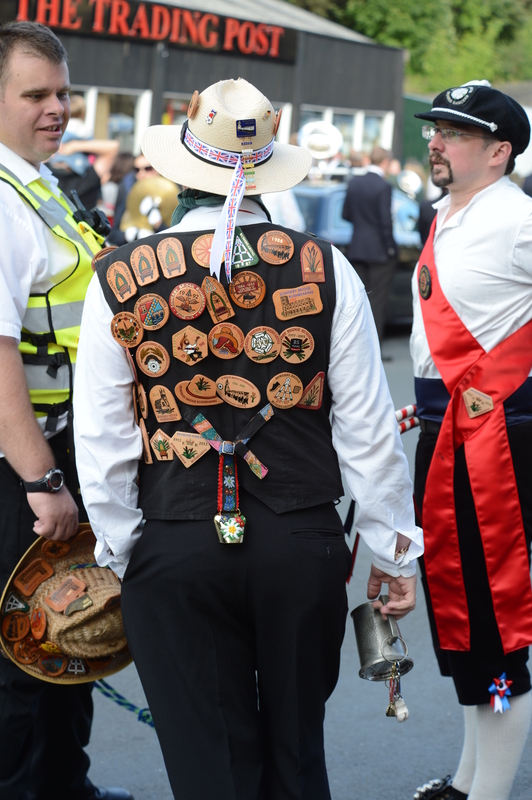 Something you soon notice about rushbearing is how many folk sport the bespoke leather badges that show their annual attendance. Straw hats, waistcoats & shawls are festooned with them. It’s an event that clearly brings a community together. I’ve met folks who plan their annual holidays around the event & even fly back from far-flung lands in order to attend. Needless to say, the local pubs do a roaring trade during rushbearing. Pulling the cart o’er hill & dale is thirsty work, so cart pullers & other participants carry their own tankards clipped to their belts. Of course, Sowerby Bridge is blessed with a great variety of pubs, bars & restaurants, so no-one goes thirsty (or hungry) for long. Here’s a few more pictures that I hope will give you a flavour of this years event. 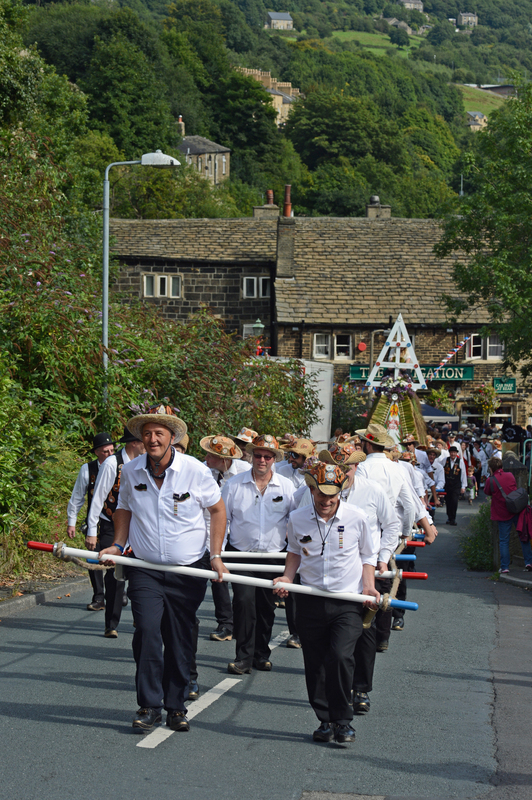 Sometimes, something stronger than beer is called for..
400 Roses are regulars at Rushbearing. They combine UK-style folk dancing with more exotic tribal belly dance moves. When designing their costumes they decided to use an abundance of red and white silk roses appropriate to their Yorkshire & Lancashire origins, hence their name. 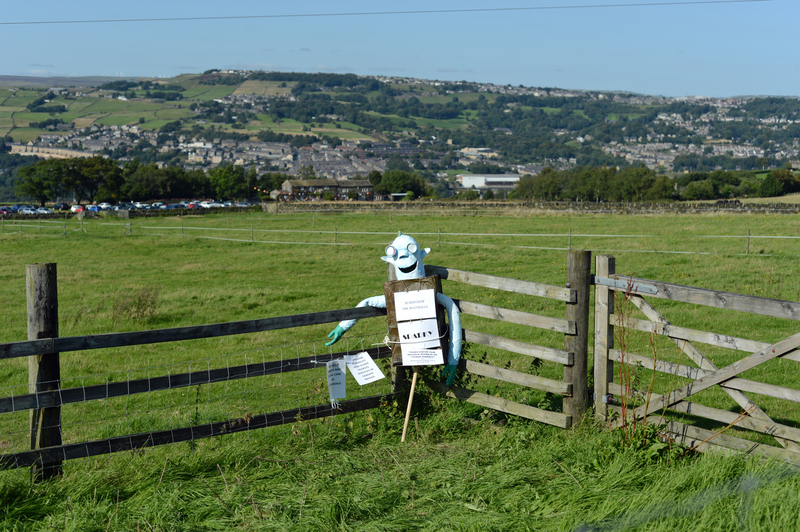 On the Sunday we walked across the valley & up to Norland to sample the delights of the annual scarecrow festival. This years theme was songs, which taxed both designers and the audience. Some of the designs were technically brilliant, others cryptic & some just plain strange! Either way, they attracted thousands of visitors who (hopefully) managed to raise a lot of money for charity. Here’s a look at a few of the entries. 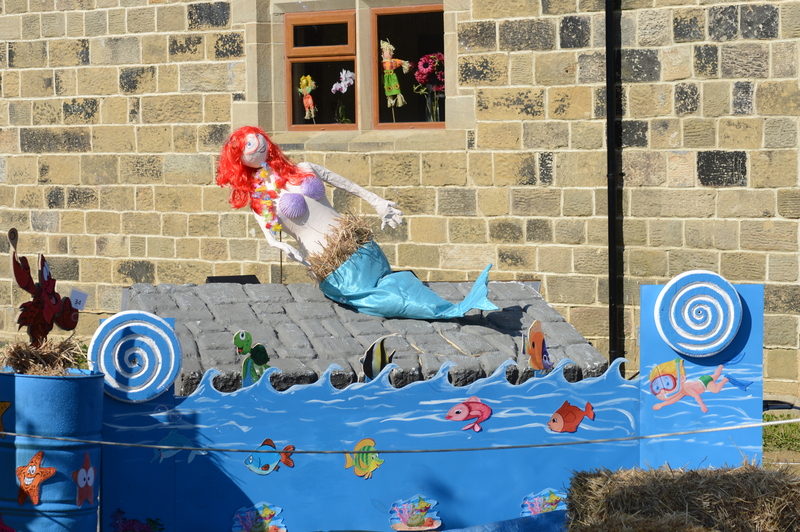 This must have been the most intricate as it featured some intricate mechanical engineering to animate the mermaid & the fish – much to the delight of kids (large and small)! This was our favourite because of its scale, inventiveness & style. I really like the dog jumping for the frisbee! This week I’m swapping PPE for a suit. After another rare night at home I’m on the road again, only this week I’m swapping my PPE for a suit. Whilst most of you were relaxing over the bank holiday I spent several days at Stafford where I was working on the Staffs Alliance resignalling project. This involved closing the West Coast Main Line from Friday night until early this morning. The work wasn’t just at Stafford but commissioning the new signalling in the area was the major focus. Unless you’ve been involved in one of these schemes it’s unlikely you’ll appreciate the complexity & difficulty of organising them. There are so many different skill sets to co-ordinate and the failure of any of them can delay or even stop the whole job. Add in the fact you have several different shifts working around the clock & the planning needs to be almost military in its co-ordination. As it was, the ‘Orange Army’ got the job done & the railway reopened on time. Casualties were confined to the two old signal boxes which were decommissioned as Stafford is now controlled from Rugby ROC. After that, I actually get to go home – and have a weekend off! 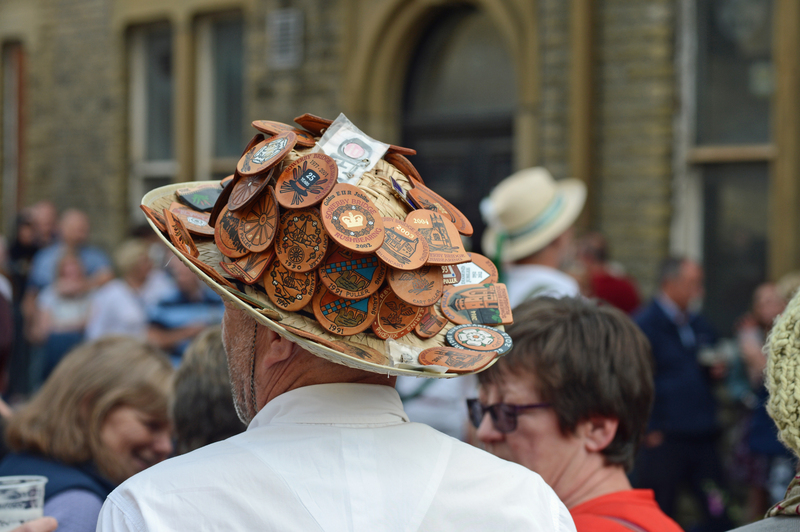 It’s the annual Sowerby Bridge rushbearing festival which is a fabulous event. 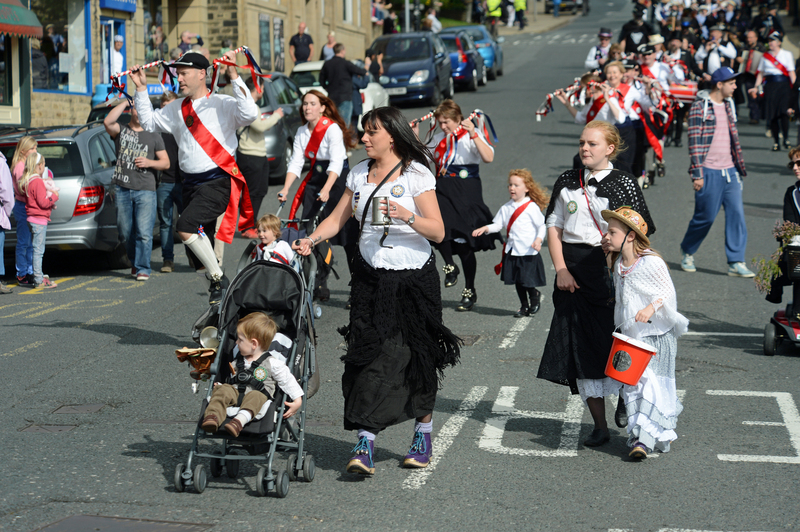 For two days teams of people push and pull the rushcart around various churches and hostelries in the area. 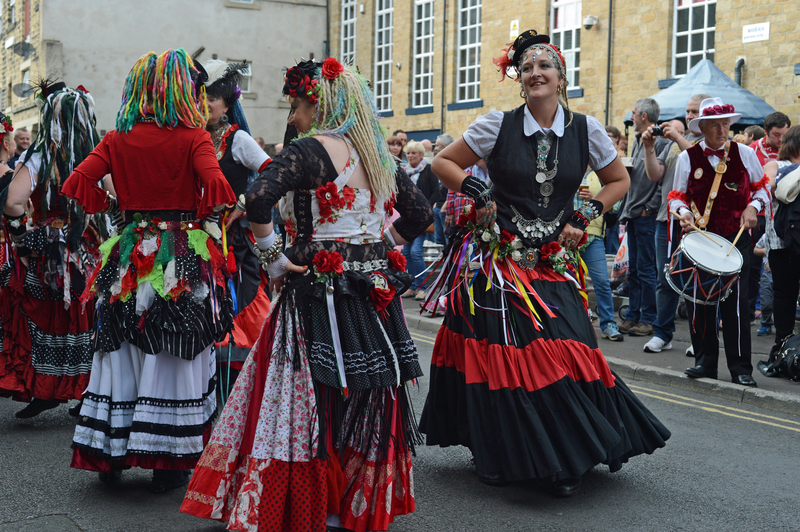 They’re accompanied by various morris dancers, mummers & minstrels. It’s thirsty work too, after all – the area’s not exactly flat! If you’ve never been come down and take a look. I’m sure you’ll have have a cracking day out as Sowerby has plenty of great places to eat & drink. Here’s a link to details of the event. I’ll add some pictures from previous years later today when I have a bit more time.